NASA has currently identified 912 known PHAs. The reason that these objects are a threat is that their orbits, although they are currently known and plotted, can change. 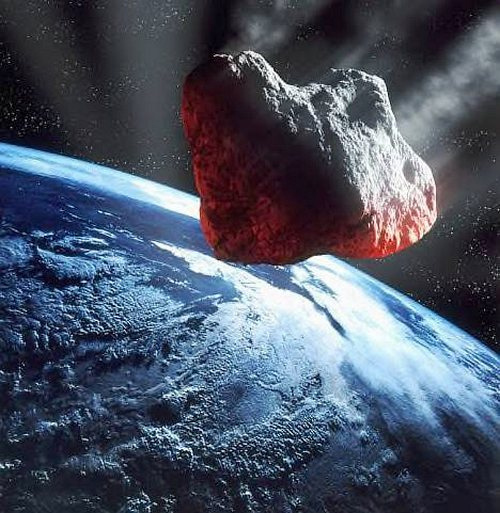 One asteroid that passes close but poses no threat now can have it’s orbit disturbed by any one of many factors and possibly pose a greater threat of impacting earth. When one of these objects is found to have a Minimum Orbit Intersection Distance (MOID), with earth that places the orbit on a possible collision course with our earth, there is a lot of excitement and publicity. This was the case with 2004 MN4, later labeled S142 and then earned the name Apophis with close encounters in 2028 and 2036. There are problems predicting the orbits of asteroids when they are first discovered. When Apophis was discovered in 2004 it wsa estimated to have a 2.7% chance of impacting the Earth in 2029. Later studies of the orbit showed that there was no impact risk in 2029 but thqt there will be a close approach. Apophis is a good example to look at when studying the impact possibilities of asteroids. Measurements taken by the Arecibo planetary radar telescope in 2005 and 2006 reduced the possibility of an impact and improved the predicted location in 2029 to within 2%. There still remains a small estimated chance of impact (1 in 45,000 ) for April 13, 2036. Optical measurements will not be possible by telescopes until 2011 and better radar measurements will not be possible until 2013. Stuff movies are made of, Friday the 13th. There are already movies being made showing the disasters that could result form asteroid impacts with earth and the attempts to stop them. With a Friday 13th being the day of the close encounter with Apophis, in 2029, I am sure this will stir the imagination of writers for years to come. The Apophis study led by Jon Giorgini, a senor analyst in JPL’s Solar System Dynamics group, found out thst solar energy can cause between 20 and 740 km (12 and 460 miles) of position change over the next 22 years leading into the 2029 Earth encounter. But only 7 years later, the effect Forward Apophis’ predicted position can grow to between 520,000 and 30 million km (323,000 and 18.6 million miles). This range makes it difficult to predict if Apophis will even have a close encounter with World in 2036 when the orbital apths intersect. Easter Sunday April 13th, 2036, and a bright star coming out of the east, could raise all kinds of speculation and also mke a great story line for Christian movie makers. In 2029 it is believed that Apophis will appear to the naked ee as a moderately bright point of light moving rapidly across the sky. But you would have to be on a ship in the mid-Atlantic to witness the event. We are not sure yet how Apophis will appear to the naked eye on Easter Sunday in April 2036. Apophis’ Encounter with 2004 VD17 in 2034. Another potentially hazardous asteroid, 2004 VD17 will come close to Apophis on July 17th, 2034, only two years before Apophis encounters Earth. There is a slim possibility that this close encounter could change the orbit of one or both of the asteroids. VD17 is now scheduled to pass within 1/2 the diameter of the earth on May 4th, 2102, however according to NASA orbit information it will come within 8.8 diameters of the earth (902,000 miles) on May 3rd, 2032 and then a close encounter with Apophis two years later. I have to ask myself, will the close Attack with earth change its orbit and bring it closer to Apophis? Asteroid 2007 VK184 orbit computed on December 18, 2007 shows high risk of Earth impact. 2007 VK184 tracking results indicate a close encounter in 2048 and a possible impact in 2053. This information was posted on the NASA web site as I was writing this article. I am sure that refinements in the orbit will Exit made in thr upcmoing months. As Easter Sunday April 13th, 2036 draws near, it will be interesting to say the least to follow the orbit updates of Apophis, the Destroyer. Patron of: evil and Ignorance. Appearancee: a great serpent or crocodile. After working in service for 23 years with Eastman Kodak Company as a service person, technical support and training specialist, follower by another 13 years working for other companies in the Office of devotion field, I have decided to share my ideals and thoughts with others. I have started writing as a hobby and plan to write about my life, work, hobbies, religion and many other thinys of interest to me and maybe others will enjoy also.